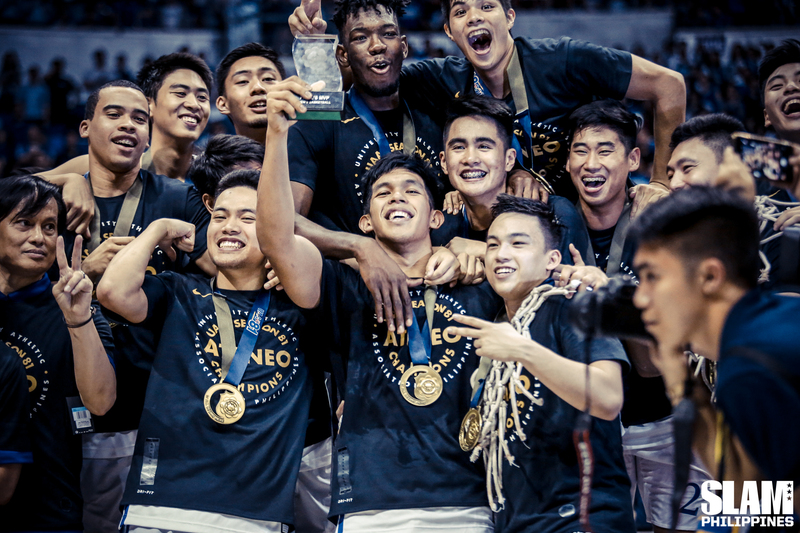 Ateneo was rolling—expectedly, inevitably. Their rookie SJ Belangel, like a little scheming blur on the basketball court, just scored on back-to-back layups after outrunning the entire maroon five. To sign off on the mini scoring run, Taft’s campus heartbreaker Isaac Go walked into a transition three-pointer from the top of the key. Another Isaac heartbreaker. A crushing backbreaker. A dagger. Except it wasn’t really a dagger. Not in the familiar Isaac Go-style. It didn’t have that same destructive stench compared to the bombs he dropped on FEU and La Salle. This three, the one that put Ateneo ahead by 12, could be filed under “good shot selection.” It was quite boring. It didn’t even merit a “Cash…money!” This three was Go’s only basket in the title-clinching game. This three was a small thing. It was probably nothing. Yet watching Isaac hit a three like that, nonchalantly, with the game not on the line, with minimal to almost no risk, to increase Ateneo’s lead to double digits at the end of the first quarter, it was divine. It was like Will Ferrell’s cameo in Wedding Crashers. That’s how good the Ateneo Blue Eagles has been this season. So good, that their resident totoy-faced assassin is doing light work for them. From delivering daggers to putting a cute little cherry on top. With new weapon Angelo Kouame unleashed, Isaac was relegated to the bench, in a secondary role different from the one he used to play. This looked, smelled, and tasted like a demotion but it’s not. It’s really not. 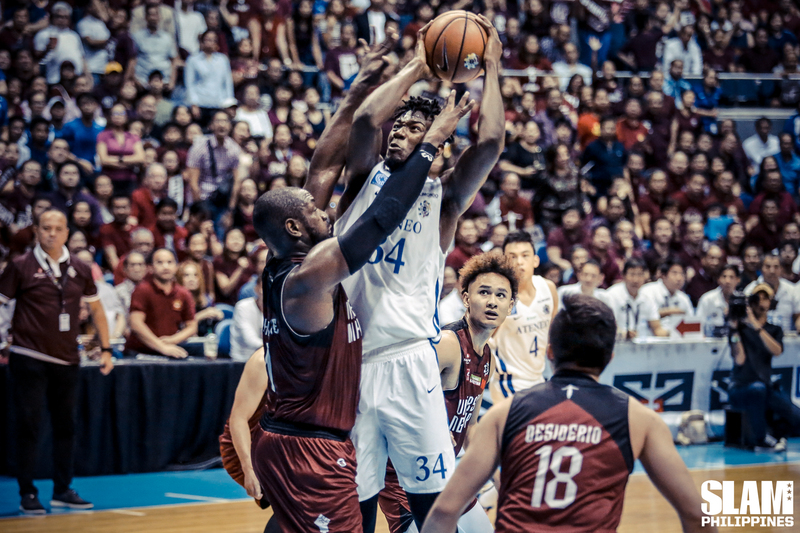 It’s just that Ateneo has developed into a boring machine with the sole purpose of inflicting death to the UAAP, in a manner that is well-choreographed, almost robotic. Isaac, many times last season, had to save Ateneo from defeat. He doesn’t have to now. The Ateneo of Season 80 and the Ateneo of Season 81 are now worlds apart. Last season was all about big moments, successfully executing clutch plays when facing danger. This season, Ateneo was the danger. Ange, obviously, tipped the balance. But really it’s the Tab Baldwin discipline strain injected to each and every Blue Eagle’s bloodstream that did this. Fluid off-the-ball movements. Intelligent lockdown D. Fatal outside shooters. Thirdy Ravena. How do you solve this? As Season 81 showed, you simply can’t. 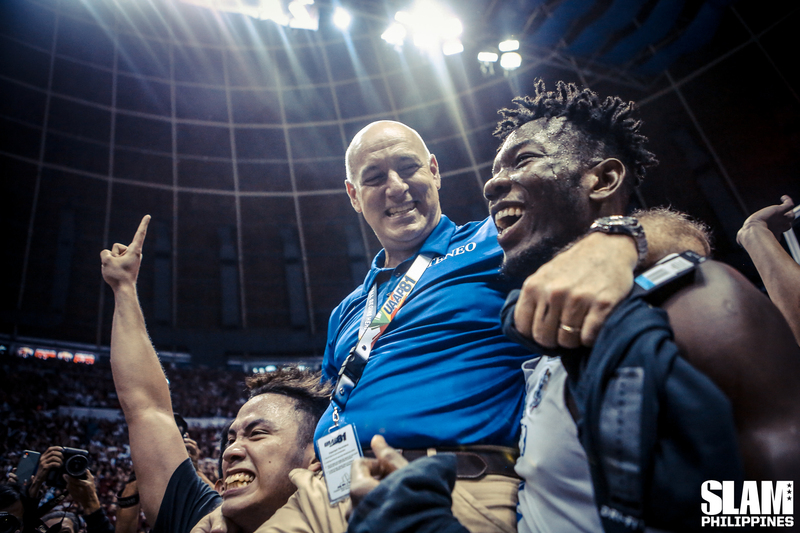 Paul Desiderio’s heroic tendencies, Bright Akhuetie’s muscle, and Juan Gomez de Liano’s mood–combined–couldn’t even put a dent on the Ateneo armor. They’ve upgraded it, polished it, tested out it at the Jones Cup, perfected it, and then used it unforgivingly on a league still playing catch up. What do you do in the midst of perfection? It depends on the side of fence you’re on. If you’re on the blue side, you smile, laugh, and high five the person next to you. If you’re on the other side, you either freeze, or retaliate with a threat, or you curse. There are more options, but not a lot are viable. Bright, gingerly, tried to fight it. Paul tried to shoot his way out of it. Juan shot from the logo, because in trying to hurt a perfect Ateneo team, those are the things you do. You have to be perfect too. Perfection, though, can be quite boring. 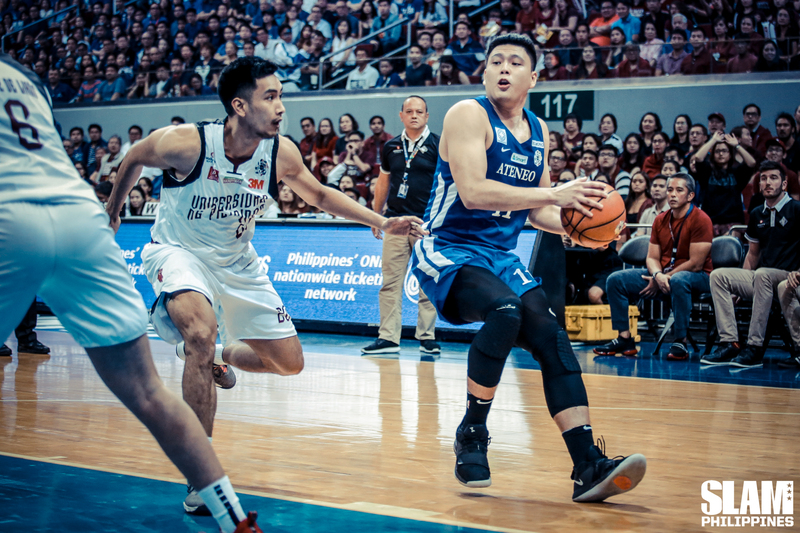 To sustain it, Ateneo will need to crash back down to earth and deconstruct their death machine, rebuild, and detect and fix flaws as early as possible. To defeat it, other teams will have to figure it out the equation Ateneo solved years ago. System mixed with talent equals trophies. Good thing Thirdy, Matt, Raffy, and Ange, will no longer play in the UAAP in the coming years. Other teams now have a shot at…wait. Reports are in that the Ateneo core will remain intact for Season 82. Only Anton will be lost. Ange is just warming up. (Ateneo Blue Eaglet Kai Sotto is still somewhere out there, probably shadowboxing.) Thirdy will be back.